On Friday the 7th of August, we conducted a workshop for kindergarten and nursery teachers about story telling and activity design for young children. This would not have been possible without the help of Ms. Usa Srinual, or P'Jay, who works as a knowledge management officer at Thailand Knowledge Park in Bangkok. 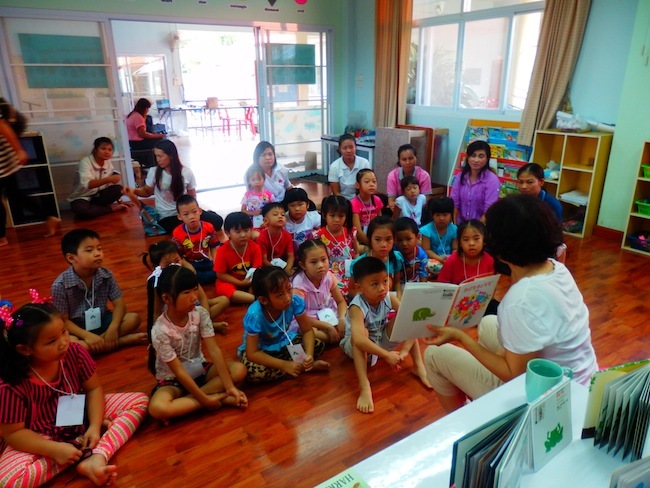 The one-day workshop was filled with various contents--demonstrations of picture book reading, activities to enhance the motor skills of the children, and introduction to the method of brain compatible learning program, which stimulates the neurological development through fun activities. We are grateful for Phrao Withayakhom School for letting us use their audio lab. 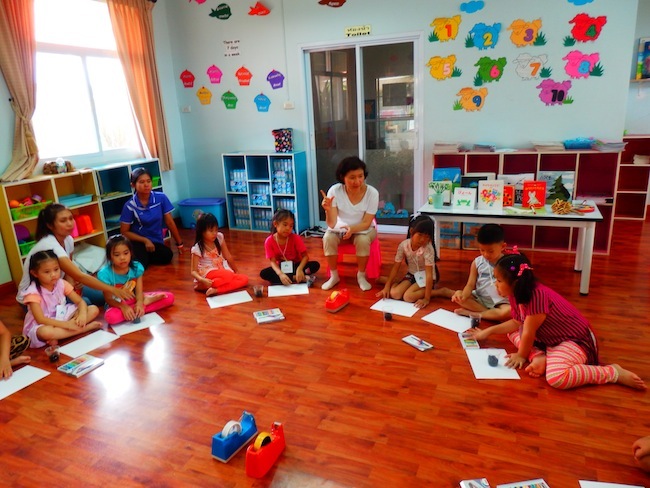 On the following Saturday, P'Jay conducted activities for the children ages between 3 and 7 at Little Candles School. 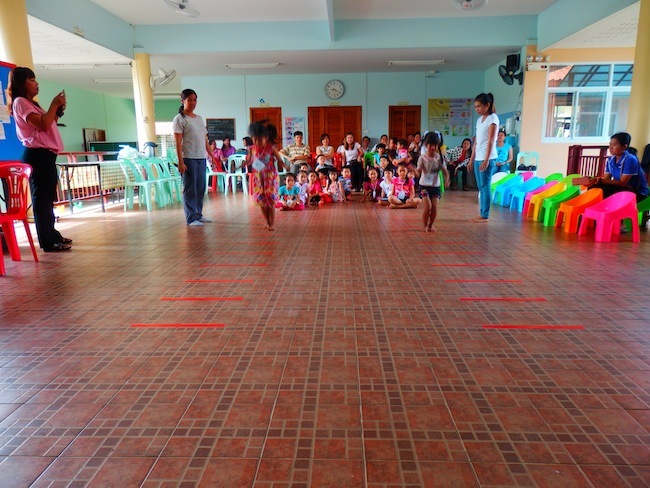 Originally, we were thinking of only half-day with 20 children in the group, but so many people wanted to apply that we had to ask P'Jay to organize another session in the afternoon to accept 40 children. 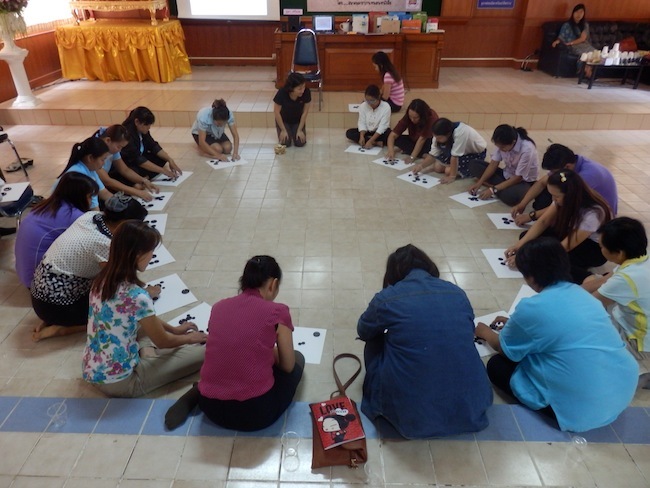 After reading a few picture books, P'Jay conducted an activity called "A Big Circle." 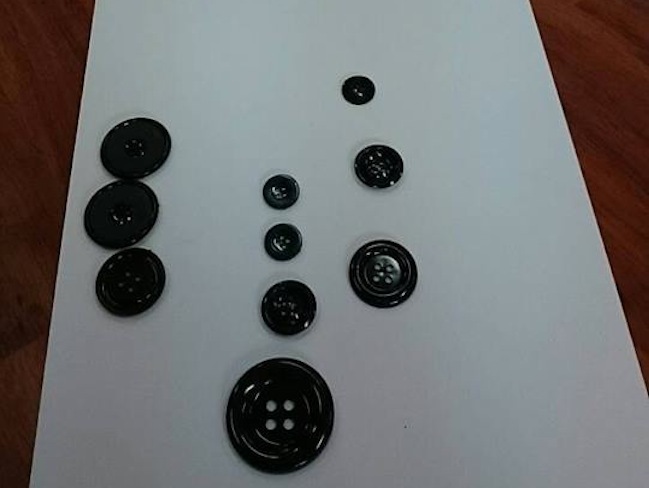 First, she read a book "Ten Black Dots", written by Donald Crews, then asked each child to form any shape out of 10 black buttons of different sizes. Then, she proceeded to read another wonderful picture book, "My Pen", written by an African American author, Christopher Myers. Children learn that we can become anything if we just have a magic pen! 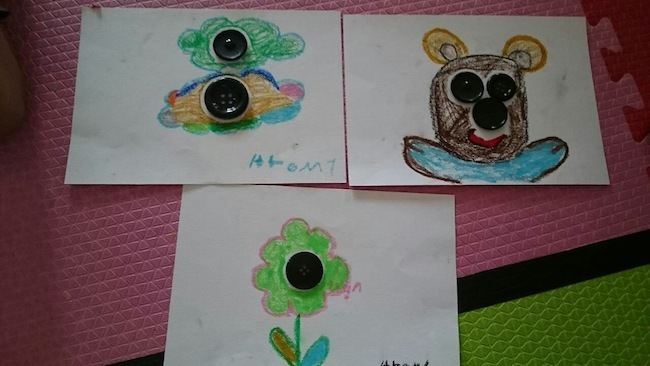 Of course, after the story, every child gets the magic pen, and are encouraged to draw anything they want around the black buttons pasted onto paper. ARC friends of all ages gained a lot of new experiences through P'Jay this weekend. 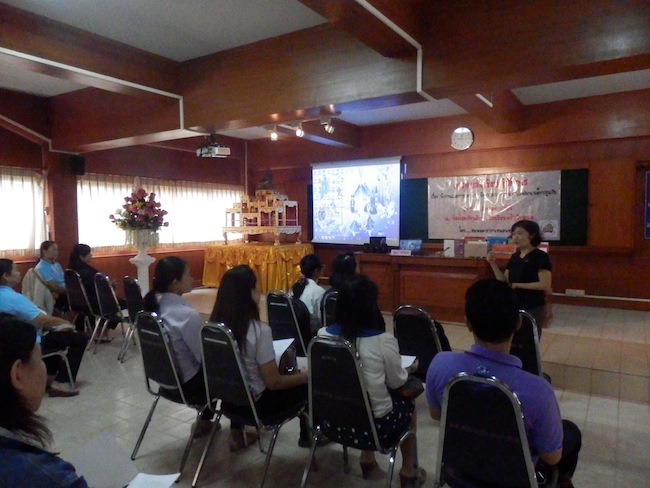 P'Jay, please come back again, and next time, we will do a special workshop for parents! Would you like to contact us, or better yet, subscribe to our newsletter?